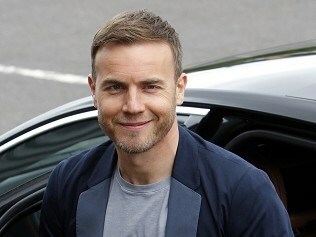 Gary Barlow has vowed that Take That will continue forever - with or without Robbie Williams. Fans were concerned after Robbie, 37, announced his brief reunion with the band was coming to an end but Gary insisted they'll continue as a four-piece and are already making plans for the future. The X Factor judge told the Daily Star: "We will always be around. Having Rob back or not, I think we can do it for the rest of our lives now." The original split led to some hostility between Gary and Robbie but this time it's been a more amicable affair, with the door left open for Robbie to return in the future. Gary said: "For now Progress is done, but I think we will come back to it with Rob whenever we feel like it." But he admitted other commitments like The X Factor have left him little time to work on anything new. He said: "At the moment I have no time to write new songs because of all my other jobs." The TV talent show isn't the only project Gary has on the go - he has also masterminded a concert for Children In Need and a charity single, Teardrop, featuring Ed Sheeran, Rizzle Kicks and Chipmunk.